I had read a few reviews about Tesoro before we dined here last week, all raving about the food and service. My review is going to be no different: Definitely the best Iftar we've been too! We started our evening with a perfect ceviche, I personally loved this aspect of the buffet so fresh and unique. Definitely not found at your regular eatery. But my real weakness was the Causa (a mix of avocado, tuna. mayonnaise placed on a stand of well mashed potato) This tiny starter served with sushi was one I would have gone back for (and I did - twice actually) again and again! We then moved unto the salads, we started with the beetroot and feta which we absolutely loved. Small yet perfect servings of each salad was displayed. We then went onto the purple potato salad, yes you heard that right: purple potato (native from Peru) This was uniquely delicious. A must try really. We were also offered to try the purple potato and sweet potato crisps served with a Panka mayonnaise. Again a table winner and devoured within minutes. By now you've come to realize that I loved seafood (prawns, calamari, crabs) and J loves the more adventurous seafood (snails, eels, scallops) but this was a dish that I'm not even ashamed to say that 2 people finished 5 bowls! It has everything that the Dubai foodie loves: presentation, great aroma and good quality seafood. Chef Julio and his team really have a winner on their hands with this dish. Honey Zaatar glazed new potatoes - we became best friends that night! The chocolate cake - obviously it was delicious! These were my favourite, something similar to the ones M and I tasted at Feast, Sheraton. Light and full of chocolate goodness, I would have gladly taken a few home. Why I claim this is the best Iftar we've had in Dubai: great food and equally great service. One of the reasons most bloggers don't enjoy their dining experience is because we are served food, with no explanation of the ingredients or no Chef to explain the reason for his creation. In short: no interaction between kitchen and guest. Luckily the newly opened Taj Dubai has chosen to stand apart, with both staff and Chef checking how we enjoyed our items and even open to feedback. This is why I claim this was the best Iftar. Oh before I forget there was churros, I haven't found a place in Dubai that lived upto the ones we had in Spain but here it was the Spanish churros I was looking for. Go on you can drool now! 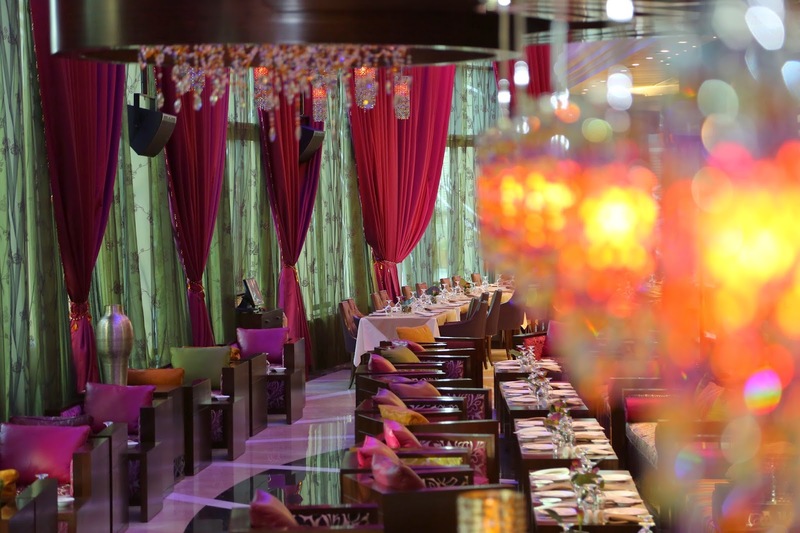 The Iftar is priced at AED 195.00 and an absolute must try!